Teenager Wade Watts sits hidden in a secret access location. A visor covers his face. Networked haptic gloves cover both of his hands. On a shelf in front of him is a patchwork computer terminal. Watts knows none of this at the moment. He’s fully immersed in OASIS, a virtual reality world where he spends most of his time. He even attends an OASIS high school rather than attending regular school. In a few months, Watts will trade his visor and haptic gloves for a full-body suit and helmet, taking him even deeper as he travels OASIS. This is the world as imagined by science fiction writer Ernest Cline, author of the 2012 bestseller Ready Player One. Watts is the protagonist of Ready Player One, a novel that spends well over half its time describing events happening inside OASIS — thanks to advances in reality technology. Technology that’s easy to imagine becoming a reality, I might add. 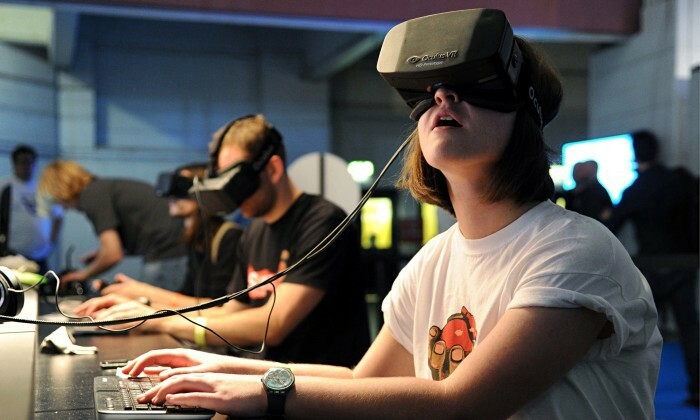 We’re not a long way from sending teenagers to high school inside virtual reality worlds. In many ways, the VR market feels like the music player market in the late 90s (pre-iPod) or the tablet market in the late 2000s (pre-iPad). Technology advances are everywhere. Small startups and big companies alike are putting out devices. Investors can’t get enough of it; just look at Magic Leap raising a $1B fund and growing. Everyone’s goal is the same: to create a more immersive virtual reality experience. 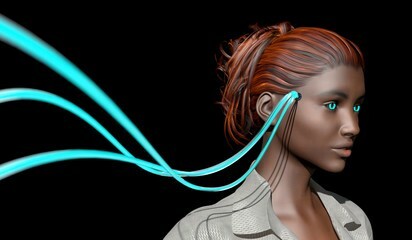 The more we lose ourselves in the virtual reality worlds, the more we’ll like the experience, or so the thinking goes. Tethering cables are the worst. Right now they are a necessary evil for some powerful VR systems (such as Oculus). But fully-mobile VR systems are getting better all the time, and in November, HTC Vive released the first tetherless VR System. The not-yet-released Sulon Q, for example, also promises a tether-free experience. All the processing power is built right into the device, no PC required. In time, all the best VR devices will run tether-free. As processing power gets packed into the VR sets themselves, the need for high-end PCs will wane. Right now, VR is causing a small uptick in hardware sales for PC manufacturers. But in a few years, they’ll be left behind, again, just like they were when the mobile revolution happened. This time, though, it’s the high-end gaming community that will be moving to the new mobile devices, removing of the few remaining reasons to own a high-end desktop PC. Rumble packs in our controllers is one thing, but that’s hardly the same as our true sense of touch in the real world. Right now VR is basically just sight and sound. To achieve its promise — to let you fully immerse in a virtual reality world — VR needs all five of our senses. That means designers will (eventually) have to conquer touch, taste, and smell. This is much more difficult than recreating sight and sound of course. It will require designers to create something akin to the haptic gloves and body suits from Ready Player One, or (the more extreme option) to jack into our brains directly — Matrix-style — which is not so unbelievable with a neural lace. 4. More Than Just Hardware, We Want the High. The iPod wasn’t successful because it was a sweet piece of hardware. It was successful because it was a sweet piece of hardware that also made it easy for us to enjoy music — in a way no other music player ever had. The experience of the iPod included iTunes, a library/store that was unlike anything any of the other music players on the market at the time could offer. Steve Jobs promised us “1,000 songs in our pockets,” and the iPod delivered because iTunes made it easy to access any new song we wanted. You could argue, in fact, that iTunes was much more difficult to create than the iPod itself. The technology was a challenge of course. But the countless hours of negotiation with the music labels is what really made the project possible. No mere hardware device (by itself) could have been as successful as the iPod. Apple was successful because it redesigned the full experience of buying and listening to music — including the purchasing of the music itself. Who Will Take VR Mainstream? With Apple on the sidelines, it is up to the other companies to move industries like VR forward. VR needs someone with the vision to see beyond hardware — to a future that integrates VR into the fabric of what it means to live our lives. In Ready Player One, the breakthrough product was called OASIS. And the magic of OASIS was that it was a platform and a virtual reality world, all rolled into one. I predict VR will break through to the wider consumer market — but only at the point when someone gets smart enough to market the virtual reality world, instead of a virtual reality hardware piece. And that really involves art and experience. After all, the promise of VR is that the hardware falls away the moment you enter a virtual reality world. And all you’re left with is the experience. The company that learns to sell the experience — not the platform — will be the company with a chance to create a Steve Jobs moment for the VR industry.